The next era in the legacy of The Goon starts here! This all new series marks The Goon’s return to Albatross Funnybooks and is just in time to commemorate the 20th anniversary of the book. 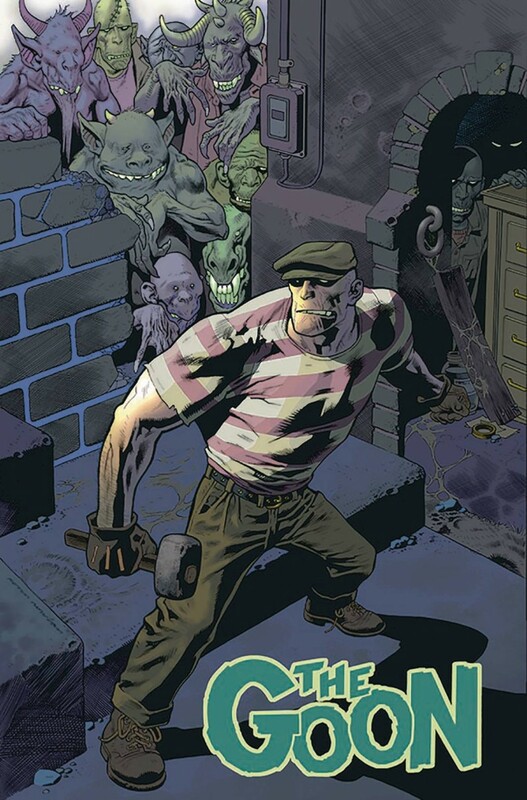 Eric Powell takes the series to its humor-based roots as Goon & Franky return from strange adventures abroad to find a horde of unsavory characters have filled the void left in his absence from Lonely Street.